Mahindra & Mahindra Ltd., the leader in the Indian pick-up segment, further raised the bar in customer value proposition by offering two unprecedented, industry first guarantees on its Bolero Pik-Up range. The set of assured buyback value and free maintenance guarantees will enable Bolero Pik-Up customers to improve their earning potential by assuring the resale value of their vehicles and reducing both maintenance cost and downtime. Minimum Rs. 4 lakh buyback value after 4 years – An industry first assured buyback value which will ensure the return on investment through committed resale value on the strength of the Bolero Pik-Up brand. Thus, it protects the customer’s interest by reducing the total ownership cost and increasing the profitability over a 4 year lifecycle. In addition to the above, the company is also offering a service guarantee within two hours, with the promise of Rs. 750 cash back in case of any delay. The higher uptime will allow customers to earn more money and save time. Further, the bumper to bumper standard warranty has been increased from 1 year to 2 years/ 1 Lac kms. This will ensure complete peace of mind for customers by reducing maintenance cost and downtime. As the leaders in the pick-up segment for over 15 years, it has always been our endeavour to enhance our Customer Value Proposition. Today, we are set to raise the bar further through a set of disruptive and unprecedented after-sales guarantees in our flagship Bolero Pik-Up brands, through ‘India’s No.1 Pick-up ka Vaada’. These guarantees will enable our customers to get the best out of the investment made, reduce the cost of maintenance and improve the earning potential on our Bolero Pik-Up range. As leaders in the pick-up segment for 15 years, Mahindra has forged a deep relationship with its customers founded on trust which has been earned on the strength of the quality of its products, their robustness, earning potential, low maintenance cost and above all the reliability of brand Mahindra. 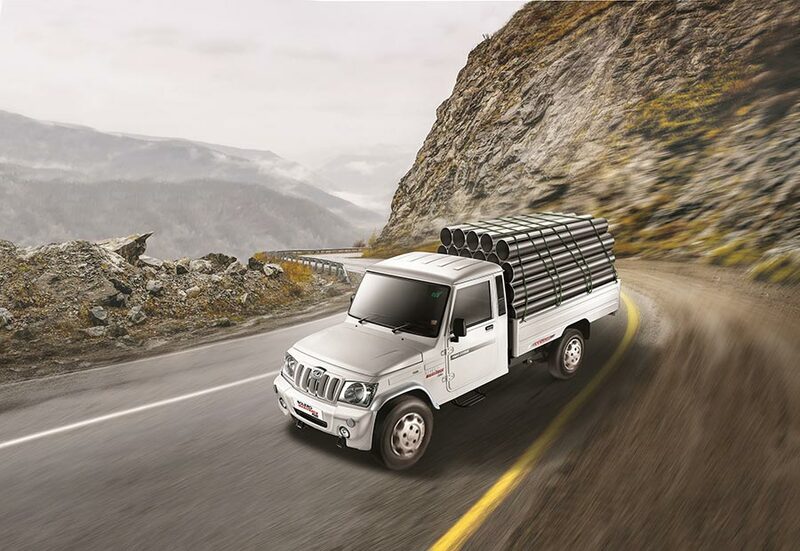 Today, Mahindra has the widest portfolio in Pick-ups to cater to various needs of cargo transportation and the flagship range of Bolero-Pik-Ups have more than 10 lakh customers. At Mahindra, we have been known for various firsts in the pick-up segment, be it the first AC Pick up, first CNG Pick up or the first Micro Hybrid Pick up. Mahindra pick-ups are low on maintenance and enable higher earnings for the customer. The aim is to influence the customer’s life positively and all these enable the customer to progress in life, while building a long-term relationship with brand Mahindra. To add to this, the widespread Mahindra network of over 3,000 service centers and associates facilitates easy repair and service.